You don’t think it will happen to you, until it does: you end up in the way of a furious crowd of protestors and your vehicle is set on fire and gets burnt out. One only has to look at news reports over the last two months to realise that this scenario is a reality. On September 14, during a protest which was possibly related to a mineworkers’ strike, a truck and a bus were set on fire in Lephalale, Limpopo. 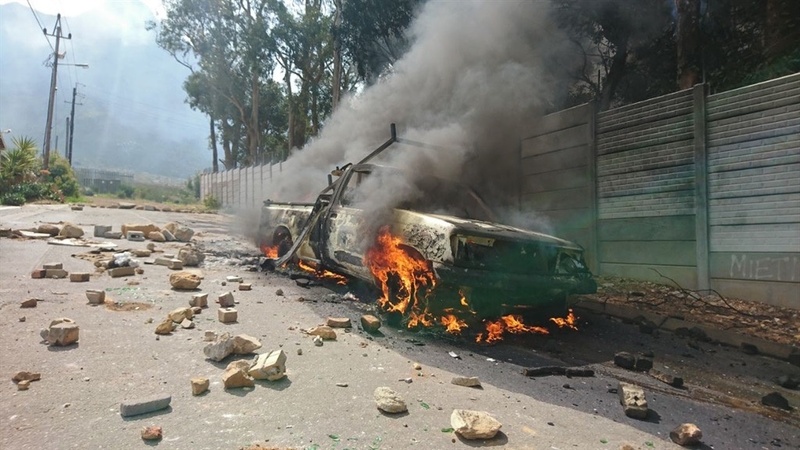 In August this year, three cars were burnt out and another 15 vehicles were damaged in Westville, outside Port Elizabeth. The unrest broke out because residents were unhappy about housing project delays. Your vehicle is one of the most expensive purchases you will make in your lifetime. That’s why making sure you have the best possible insurance is important. Sasria (SOC) Ltd (Sasria) offers vehicle owners just this kind of insurance. Sasria is a state-owned company and the only short-term insurer that not only provides cover to all individuals and businesses with assets in South Africa, but also to government entities that are exposed to special risks, such as civil unrest, public disturbances, strikes, protests and terrorism. To insure your vehicle for private use against strikes or unrest, an individual only pays as little as R2 per month or R20 per annum. In the case of the total loss of the vehicle, Sasria will pay out the retail value of the vehicle. For individuals this means peace of mind, but, for business enterprises that use vehicles in the delivery of services and good, this sort of insurance can mean the difference between success and failure. If you are the owner of a fleet of vehicles that delivers goods, your vehicles aren’t just exposed to the same level of risk as private vehicles – your vehicles and their valuable cargo may well become a target for protestors. In South Africa, the second half of the year is characterised by wage negotiations and is known as ‘strike season’. Tough economic conditions, political uncertainty, an increase in service delivery protests and the violence that goes along with them create a reality in which vehicle owners are required to take the best possible precautions against potential loss. Sasria offers special risk cover for cars, light delivery vehicles, commercial vehicles, fleet vehicles, car dealerships, mobile plants, taxis, express service busses and trailers. Visit http://www.sasria.co.za/special-risk-insurance/motor/ for more information. Don’t wait to empower yourself with the knowledge to take preventative measures against losses you can’t afford. Bespaar so op jou motorversekering. Be the first to comment on "Advertorial: Make sure you have Sasria cover – before it’s too late"